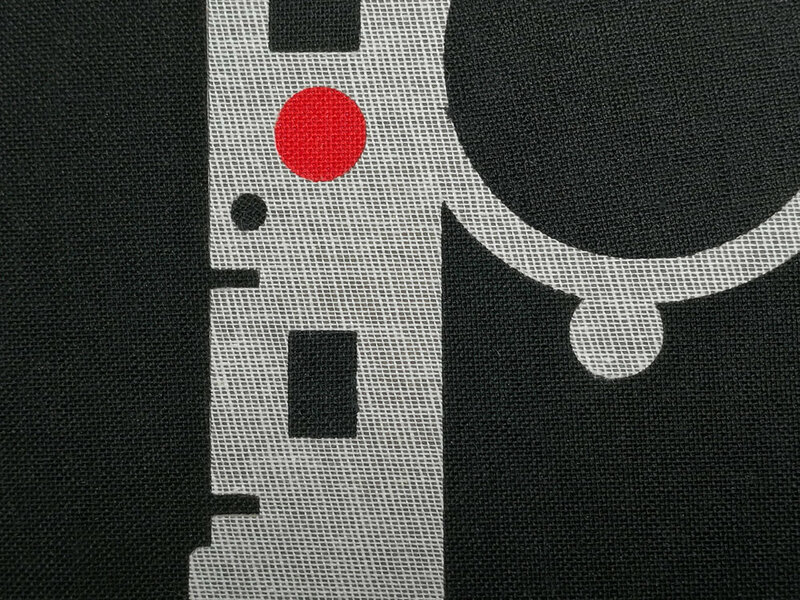 This one was commissioned for a photographer mate who loves his Leica and takes photos of brutalist architecture. No clues there then. 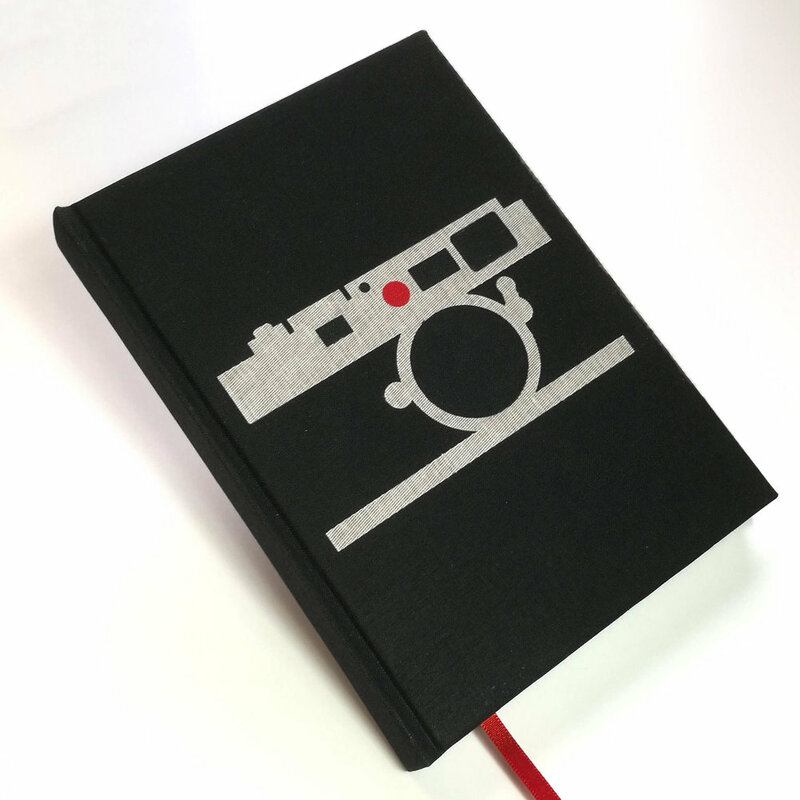 That's a Leica M9 on the front in cloth inlay and some lovely Cressida Bell design endpapers sourced at the recent America's Cool Modernism at the Ashmolean Museum in Oxford.